As organic reach dwindles, social media ads are becoming more and more appealing to marketers. 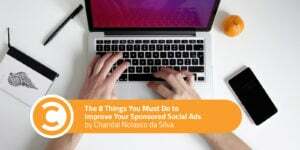 In fact, social advertising budgets doubled from $16 billion in 2014 to $31 billion in 2016. I predict this trend will continue to rise in 2018 and beyond. The question is, how can you ensure your campaigns generate clicks and revenue? After analyzing over 30,000 paid media accounts, we’ve learned the difference between a campaign that gets ignored and one that captures attention. Here, I’ll distill these lessons and apply them to social ads. You’ll learn how to optimize your ad creative, targeting, and format for the best results. 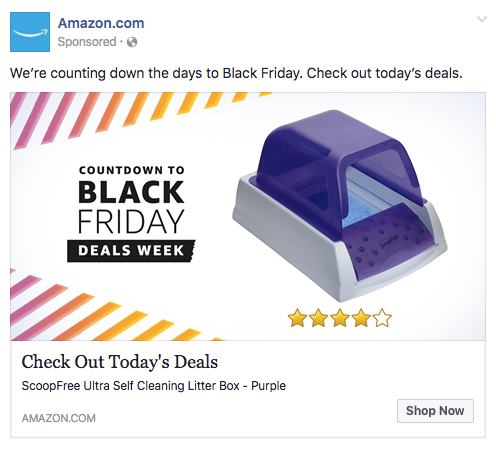 Using social ads to reach your entire audience is a huge waste of budget. Each audience is unique, with its own set of interests, demographic segments, and preferences. Targeting the right portion of your audience while maintaining your brand voice can be challenging, but getting this right leads to more success with your social ads. Use Interest Targeting to reach users based on brand affinity and the content they share on their timelines. Audience Behaviors allow you to target users with a specific intention, like travel plans, purchasing activity, etc. Understand the demographic and psychographic makeup of your audience to ensure you’re serving the right content to the right people. 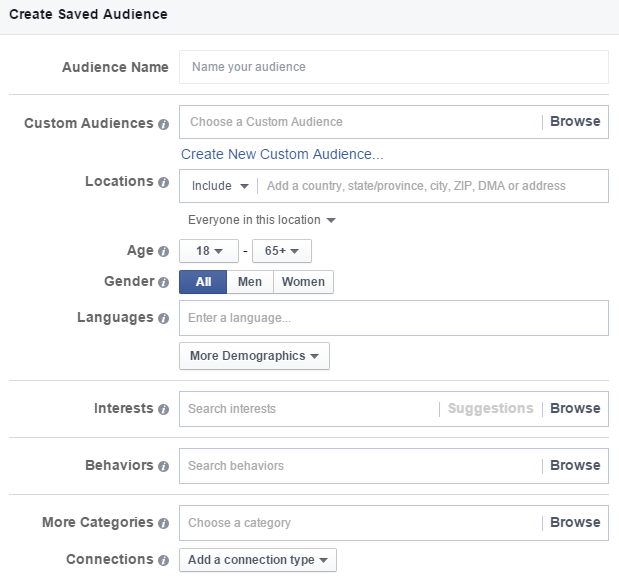 Save your custom audiences to optimize settings and recycle for future campaigns. Custom audiences will also assist with your A/B testing efforts later. Start with a broad audience and refine later. For example, if you’re targeting yoga moms in North America, then save an audience based on those parameters. Refine and tweak specific subcategories after testing ad creative. Video ads are far more memorable than static images and plain text. Furthermore, they can drastically improve your relevancy score. By paying per impression, you can optimize your CPM to just $0.02 per view. But to achieve this low cost, your video must abide by a few principles. First, focus on the story, not the sale. Create value for the user instead of another sales pitch in their news feed. Appeal to your audience’s needs and seek to elicit an emotional response. Ensure you’re contributing to your strategic marketing goals by including tracked URLs in the description and end of your video. Make it fun! Videos that rely solely on facts do not generate shares. Your customers want to laugh, feel moved, and entertained. No matter what industry you’re in, video marketing doesn’t have to be conservative. Make your videos fun to watch. You have 10 seconds or less to capture attention. Make them count. Create punchy videos that quickly get to the point. If you’re creating a long-form video, use these ten seconds to set expectations. Ask questions that pique the viewer’s attention, making them anticipate what’s about to happen next. Is your video educational or entertaining? Make it clear why they should watch. Adding subtitles will capture attention when devices are on mute. Finally, allow your best videos to shine on multiple platforms. For example, if a long-form video performs well on Facebook, upload it as a YouTube video to capture attention there. Many marketers fixate their advertising efforts on Instagram and Facebook. But did you know Twitter’s targeted ad features allow you to tap into 316 million monthly users?! And it doesn’t stop at Twitter. Reddit, Snapchat, and platforms like Outbrain all provide platforms to reach your audience. Are your competitors advertising there? Do you have content that supports the format of the platform? Are your customers there? What are the user demographics? Are you already seeing success on this platform organically? Regardless, these are factors that make or break the success of your advertising campaigns. A great quality score leads to more impressions at a lower cost-per-engagement, while a low quality score will lead to less impressions for a higher cost. This is why it’s important to promote your best content. By promoting content that has been proven to perform well, you can run tests that are more likely to succeed. Use A/B testing to uncover which campaigns perform best. Post content organically and see what generates the most likes, shares, retweets etc. Remarketing on social media allows you to reach website visitors who haven’t taken action on the platforms where they spend the most time. Using social remarketing campaigns, you can double your conversion rates while reducing your overall costs. These are users who have already interacted with you. Serve messaging that encourages a purchase, demo, or consultation. Retarget your blog readers. At the top of the funnel, a user’s first visit is often their last. By retargeting them on social media, you can recapture their attention and get them back into your marketing funnel. Reach past buyers. Segment your customers by purchase frequency and last transaction. For example, create a retargeting campaign that markets to those who haven’t purchased from you in the last three months. Use special offers and limited discounts for scarcity and exclusivity. Recycle from other channels. Visitors may already engage with you through other paid campaigns. Retarget visitors to a specific landing page with an offer higher up the funnel. For example, if they visited a landing page offering a free trial, tempt them with an ebook instead. You’re already spending thousands of dollars to generate visitors to your content and landing pages. Invest a little further to capture lost opportunities with remarketing. Paying Facebook every time someone hits the “Like” button is a huge waste of budget. It’s a common reason why marketers see such a low ROI from their social advertising efforts. Instead, focus on the activities that matter most to your business. If you’re promoting an ebook, then pay for leads. If you want more readers to your content, pay for clicks. Impressions: If you’re trying to get your message seen by as many people as possible, pay per CPM (impressions per 1000 people). Engagement: This means likes, retweets, shares, and comments. While these metrics contribute little to revenue, they can be indicators of how well your content resonates with your audience. Traffic: Aiming to get more eyeballs on your landing page or blog? Then make sure you’re operating on a CPC bidding model. This way, you’ll only pay when someone clicks on your ad. Lead and Conversions: This is ideal for gated content and lead magnets. If it’s conversions you’re after, make sure you’re paying on a CPA basis. Sales: This goal looks straight to the bottom of the funnel. This will contribute directly to ROI. Remember, a promotional campaign will still generate impressions and visits to your social profiles. But it won’t cost you anything, as you’re bidding for the end result. Like each social platform, not all content formats are created equally. As we discovered earlier, the Facebook algorithm favors video content, but will the same video fly on Pinterest? It’s important, therefore, to create content that works within the context of your target platform. For example, Instagram stories tend to be off-the-cuff in nature. Consider, then, shooting a message directly to the camera, keeping video dimension sizes in mind. Look at your organic content to see if you’re striking the right balance. Which of your posts generate the most engagement? Reverse engineer your top performing posts when setting up new campaigns for the best results. You won’t always hit a home run from the beginning. And you’re not going to know if you’re getting the best results without testing. Running A/B tests can quickly improve results with a degree of certainty. By experimenting with different variations of the same ad, you can discover new ways to reach your audience and persuade them to act. To wrap up this guide, here are three A/B techniques that you can test today. You know who your audience is. But do you know what kind of content they like best? Once you’ve nailed down your saved audiences, test different ad formats on them. Facebook, for example, has over 10 ad types. The format you use will depend on your objective. If you’re promoting a product, try testing static images versus carousels. Carousels are ads that serve the user with several images, each with a call-to-action. 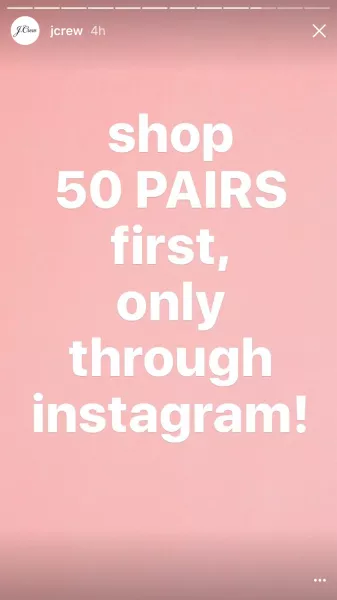 This is popular among e-commerce brands promoting several products to customer segments at once. While testing ad formats can yield better results, don’t forget about the imagery used in those formats. The principles work the same for video content. Test animations over videos that feature landscapes, people, etc. Compare the two to see which generates a higher engagement rate and ROI. With so much focus on visual content, it can be easy to forget the text that goes with it! 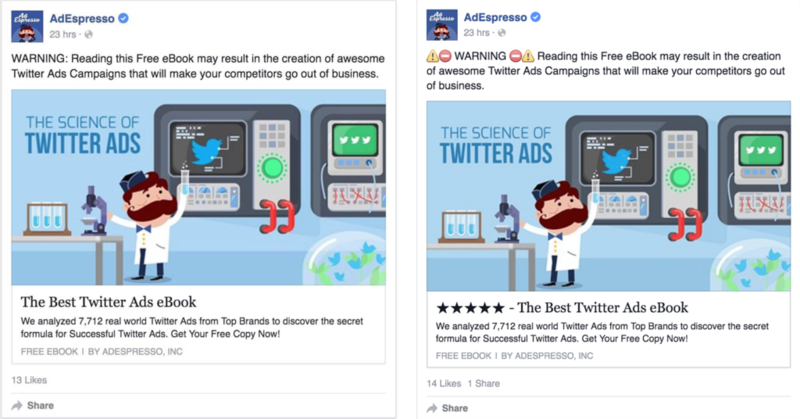 Emojis, for example, can attract more attention to your ads. Try placing them in the ad copy, as well as the headline. Use Emojipedia to search for relevant emojis and apply them to your ads. Finally, see what effect long copy has over short copy. Facebook allows you to include 500 characters in your ads, but it’s not always necessary to write copy that long. Short copy tends to require less effort to read. It grabs more attention and generates more engagement. But that doesn’t mean you shouldn’t test the two. Test long and short copy to see which generate the best results. You may find that, while long copy doesn’t generate as much engagement, it does attract more leads. Now it’s your turn. What are you doing to ensure more people click on your ads? Which A/B tests have proven to be most effective? Chandal Nolasco da Silva is Content Director of Acquisio, a performance media solution that helps digital marketers use the power of machine learning to optimize their advertising results.